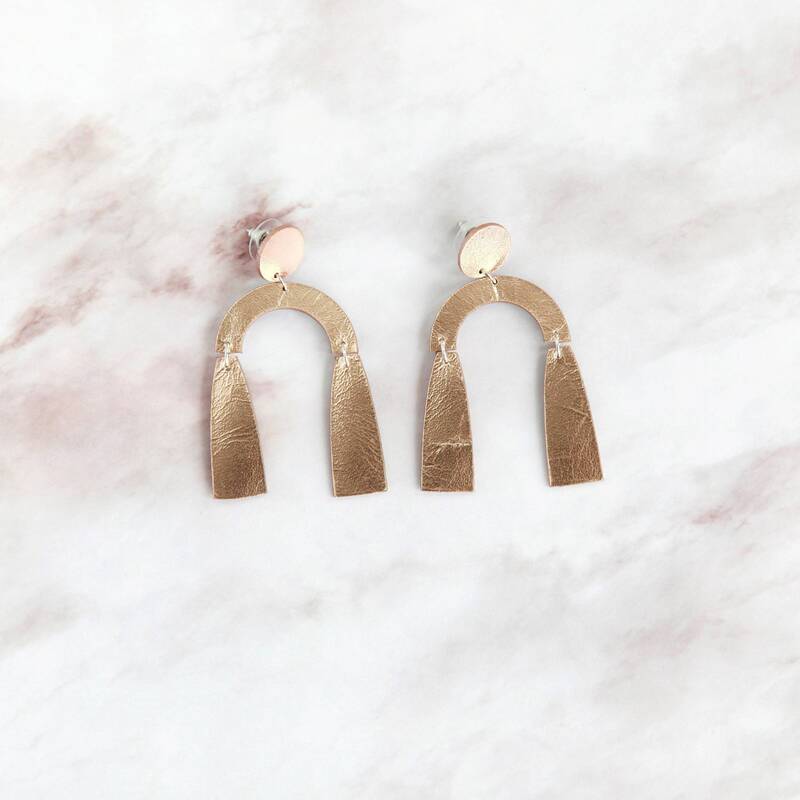 Back to stock Contemporary fun dangle metallic rose gold leather earrings, delicately laser cut and handcrafted from pinky rose gold genuine leather. 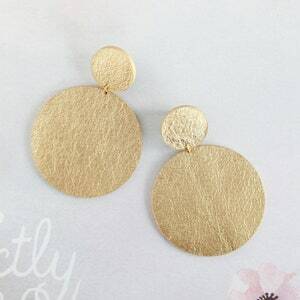 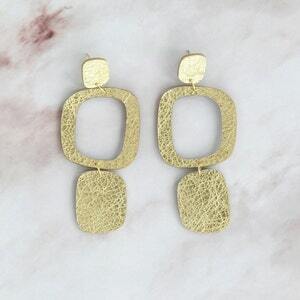 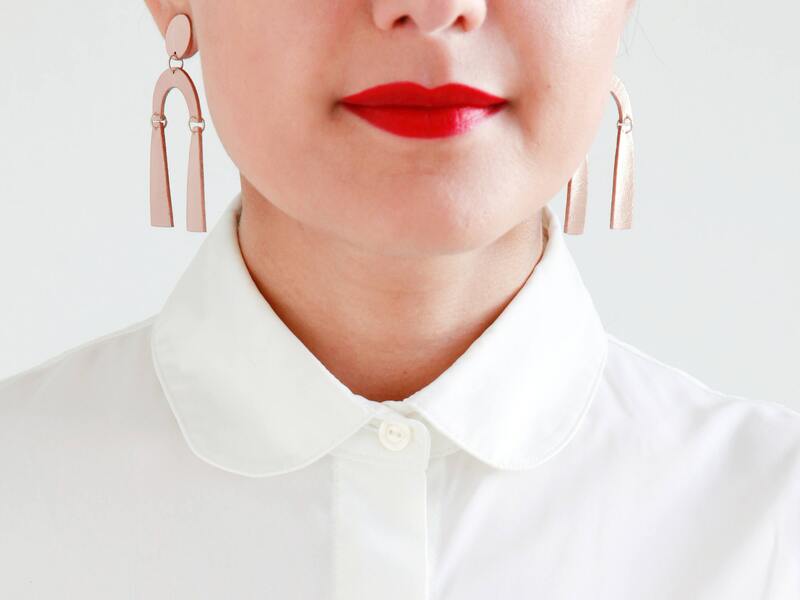 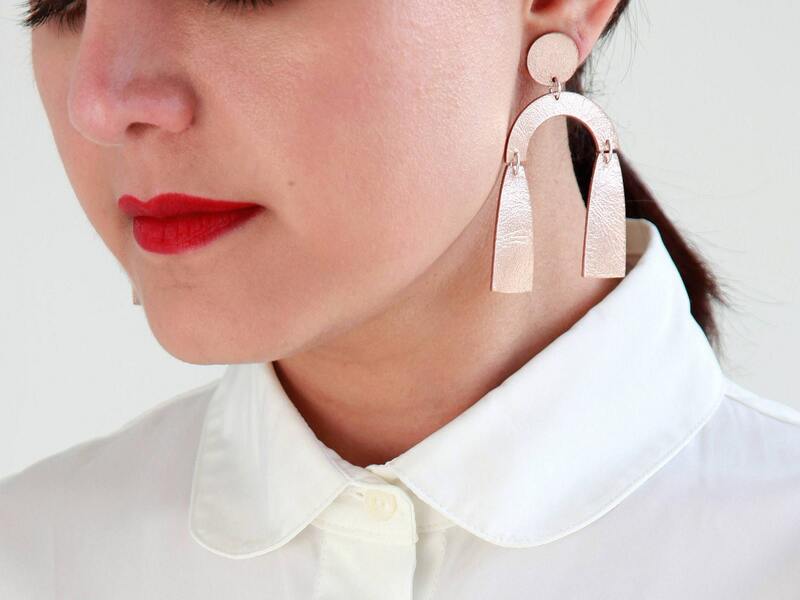 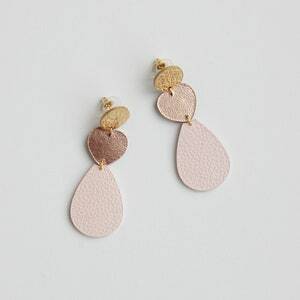 These earrings are lightweight and comfortable to wear for hours. 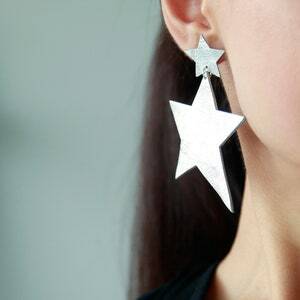 They will light up your look and can be paired with any day or night outfit.